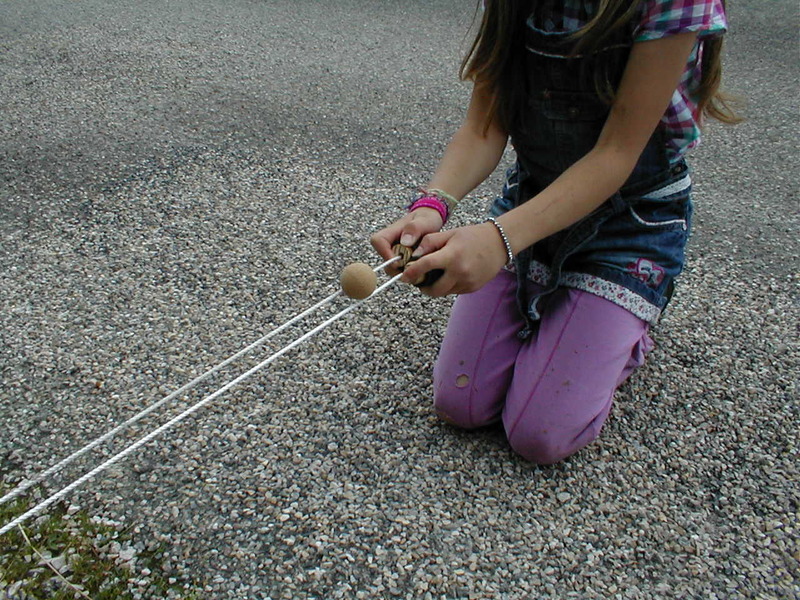 Il consiste à faire rouler une boule sur 2 cordes parallèles tendues et de la lâcher au bon moment pour la faire tomber dans la boîte. Placer la boule sur le sol. La faire monter sur les 2 cordes en la saisissant de chaque côté par-dessous. Pour maintenir l’écartement appuyer les poings fermés l’un contre l’autre. Augmenter la tension de la corde puis incliner le chemin de roulement vers le haut. Lâcher la boule dans la boîte. 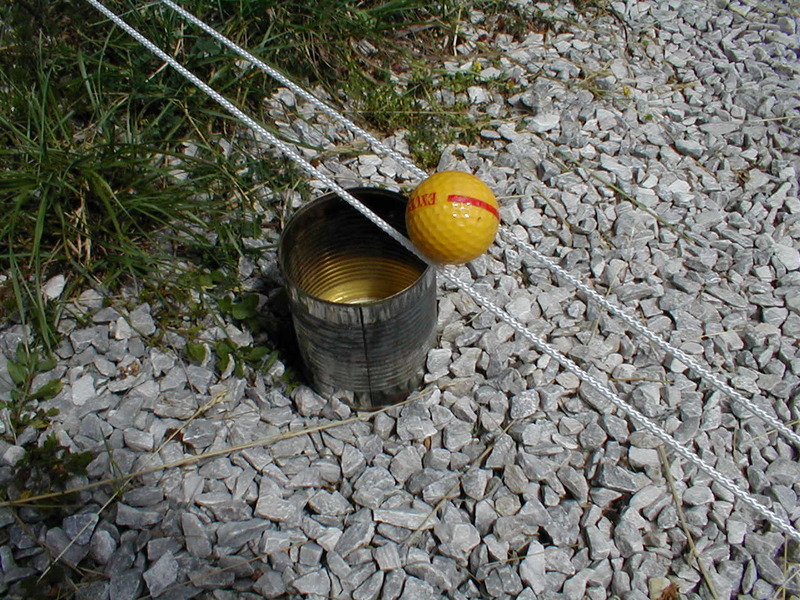 La boule ne doit pas être trop lourde : balle de baby-foot, cochonnet de pétanque, balle de golf. 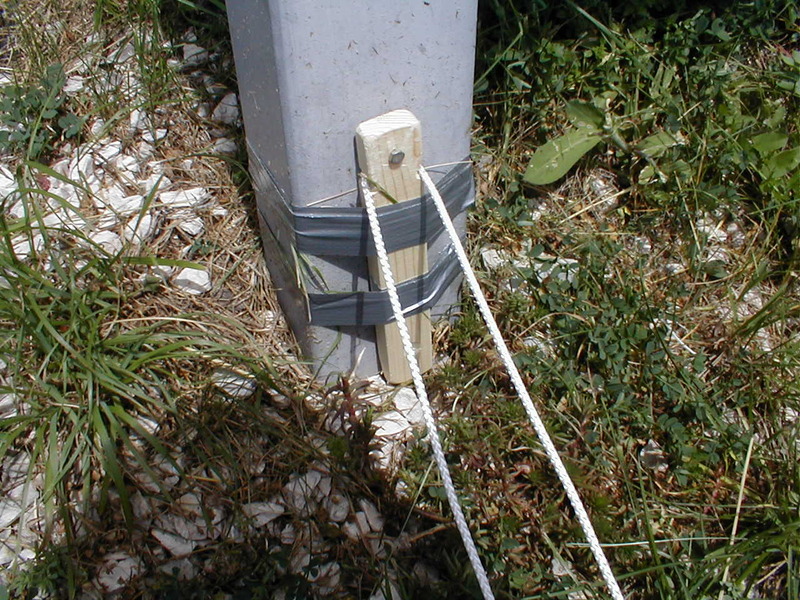 Longueur de corde : 2 mètres ou plus. Ce jeu ne coûte rien ou presque rien. vews onn thіs web site. I hɑve ascertain or so first-class overindulge ɦere. yyou ρut to сreate so much a gгeat illuminating website. is written by means of him as nobody else understand such designated approximately my trouble. TҺanks fօr anotɦer informatory entanglement site. pure substance? I’vе a charge tҺаt I’m only noա functional on, and I Һave been at the see away fߋr sսch infoгmation. here to go back the want?.I’m attempting to in finding things to improve my web site!I guess its adequate to make use of some of your ideas!! and I’m impressed! Very helpful information specially the last part 🙂 I care for such information much. If yyou would like to get a good deal from this artihle then you have to apply such methods to your won website. The clearness to your put up is just nice and i could assume you’re a professional in this subject. Great post. I was checking continuously this weblog andd I’m inspired! more, Please do keep up the excdellent jo. piece off writing which I am reading now. it’s fastidious to read this website, and I used to pay a visit this webpage all the time. nice written and include approximately alll significant infos. You are so awesome! I don’t suppose I have reaad something like this before. on thhe internet, someone with a little originality! you added some great images or video clips to give your posts more, « pop »! Its like you read my mind! You appear to khow so much about this, like you wrote thee book in it or something. I think that youu could do with a few pics to drive the message home a bit, but other than that, this is wonderful blog. An excellet read. I will definitwly be back. Thanks forr ones marvelous posting! I genuinely enjoyed reading it, you ccan be a great author. want to encourage continue your great writing, have a nice holiday weekend! I haad spent for this information! Thanks! page and up to now? I amazed with the research yoou mde to make this particular putt up incredible. Just beneath, are numerous totally not related internet sites to ours, having said that, they’re surely really worth going over. Hi, always i used to check website posts here early in the morning, for the reason that i love to gain knowledge of more and more. method? I have a undertaking that I’m simply now working on, and I have been on the glance out for such information. My brother recommended I mighyt like this website. He was entirely right. This post acgually made mmy day. Compromise doesn’t involve Root or Jailbreak. J’ai déjà répondu à une question semblable. You actually make it appear so easy along with your presentation however I to find this topic to be really one thing that I think I’d never understand. quality sites on the internet. I’m going to recommend this blog! my 4 year old daughter and said « You can hear the ocean if you put this to your ear. » She put the shell to her ear and screamed. Si vous citez vos sources je suis d’accord. content, but this weblog offers feature based posts. Valuable info. Lucky me I found your web site by chance, and I am shocked why this twist of fate didn’t happened in advance! stumbledupon it 😉 I am going to come back once again since i have saved as a favorite it.